The right side of his hair flailed recklessly in the arid Lagos wind, giving him a temporary Mohawk. He looked like a thin Donald Trump on a very bad day. I wasn’t faring well either. I just had yet another unsuccessful audition for a role as Mona-Lisa Chinda’s toy boy in a movie. Pathetic huh? Like how bad do you have to be to flunk a Nollywood movie audition? Nollywood. “Beard not full enough,” was their reason. I pleaded with the casting directors. I told them I could make my beard connect if they gave me time. Three weeks precisely. But he wasn’t. “Next!” He yelled. I cursed my bad beard-genes as I left the audition room. Especially when I saw other prospects with fuller beards waiting outside. Most of them expressed satisfaction on seeing me out. Someone even gave me an encouraging thumbs-up. I wasn’t fooled. As actors (or aspiring actors), we may encourage each other on the outside but inside we hoped for our own turn. The competition was tough. My loss was their potential gain. So, it was this issue I had in mind when I saw a skinny white guy, probably in his sixties, peering cluelessly into an open car bonnet. At first I thought about walking on- everybody had their cross to bear- but his flailing hair and look of total resignation got me. No doubt, he was a stranger here. The harsh Lagos sun can be unforgiving, so much so, you wouldn’t wish it on your worst enemy. I also wondered why the ubiquitous area boys hadn’t showed up in their packs to ‘help’ this oyinbo man. After all, this was the heart of Surulere. “Hello sir, do you have a problem?” I asked for the sake of starting a conversation. Of course he had a problem. “My car won’t start…I, I’ve tried several times but it won’t,” he stammered, tinkering a large spanner on the battery terminal. The tool looked helplessly out of place in his frail hand. His accent sounded strange. I couldn’t place it. It was neither American nor British; the two major western expats in Nigeria. It wasn’t even Portuguese. And I thought I was good with linguistic speech patterns. “Okay. Let’s see, could it be the battery?” I took the keys from him and proceeded to start the ignition. The car was a Silver 2012 Chevy Camaro- and stuck out amidst the sea of Camrys and Corollas that zoomed past. The car clicked unceremoniously. It didn’t even bother to rev. I knew immediately, it was the battery. But to be sure, I pushed the horn. The ensuing hoot was almost inaudible, like a gasping duck. “Your battery is weak Sir. You’ll need to jumpstart it”. The man managed to squeeze a smile. I could tell he was trying to hide his nervousness. I looked at his sweat-soaked shirt and limp hair. I could have sworn he had added a few more shades of tan in the last five minutes. This was going to take my whole afternoon- not like I had anything important to do, other than curse my bad beard-genes some more. There was no mechanic in sight. I asked an ewa agoin vendor where I could find one and she motioned in the direction of the next street, not looking up once from her bloody-red bean meal. Moments later I came back to the man and his broken car. It made sense, large gatherings meant more money to be made, which explained the paucity of area boys in these parts. “So what do we do?” He was not hiding his anxiety anymore. “Do you have anybody you can call?” I asked. It was getting late, and a guy with a broken-down Chevy Camaro in the middle of Ogunlana Drive wasn’t exactly “goals” — let alone a white elderly dude. I was at a loss myself. “You know,” he continued, “When I drove out today I was hoping for some adventure. I guess I got more than I bargained for.” He looked at his car and shook his head. People drove by, casting glances in our direction, forming whatever opinions they had in their minds. I suddenly had an idea. I approached the next car and asked the driver if he had a jumper cable. “No,” He replied and zoomed off. Several other drivers replied the same. One even told me to “carry your maga commot”. Until a woman in a yellow KIA Sorento said she had one and stopped. “I don’t know how to use the cables. I just have them in my boot,” She explained stepping out of the SUV. I set up the connection while they watched. I clipped one red end of the cable to the positive terminal of the KIA’s battery and the other red end to the Camaro’s positive terminal. Then, connected the black end of the cable to the negative terminal of the KIA. For the other black end, I clipped it to the unpainted metal hinge holding up the Camaro’s bonnet. I told the woman to start her car. We let it run for about 5 minutes before I tried to start the Camaro. I adjusted the red-end of the cable on the Camaro and tried again. The old man looked like he was close to tears now. I didn’t want to think so — it was probably roadside dust. I let the KIA engine run for another five minutes before I tried to start his car again. If it didn’t work this time, that would be it. I had wasted too much of my time already. At first, the Camaro spluttered and coughed before groaning into a full running engine; like a reluctant beast coaxed into action. 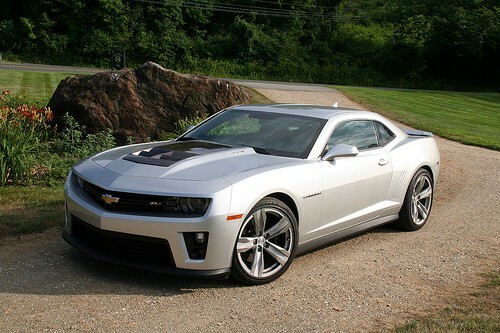 I revved it a couple of times, enjoying the sound of a real American muscle car. “Oh baby…my baby is back!” He grinned, spanking the hood playfully as I got out of the car. He suddenly looked many years younger. He got into the driver’s seat and began to caress the dashboard. You would think the car was a living thing. The woman got into her KIA. He tried to offer her some money but she politely declined. I decided to leave too, I turned and started towards the bus-stop. “Not so fast,” he called out, “How much do I owe you?” He was getting out his wallet. He tried hard to convince me but I refused. We settled for him dropping me off, since I was heading to Ikoyi which was along his route. During the drive, he told me his name was Huenis Kiepenfocker. “Sorry?” His accent made the first name sound suggestive. Pen — what? Sure, I thought to myself. Mr. Kiepenfocker talked a lot. He told me he was South African and he had only been in Nigeria for four weeks. He was here to visit his daughter who was married to a Nigerian. She had always warned him about going out alone, but he was too rebellious to be indoors like some helpless geriatric. The more Hugh spoke, the more it was obvious he was suffering from some kind of delayed mid-life crisis. Possibly an end-life one. His silver Camaro -which he named Celina by the way- was not the only sign of his crisis. He also spoke about surfing at Tarkwa Bay and hanging out with some university honeys. To be honest, the offer was tempting too. By the time I got to my stop. I had a new outlook on life, thanks to a sixty-three-year-old gentleman by the unfortunate moniker; Huenis Kiepenfocker. “Tell you what Alexander Kuma, you did me a solid today I’ll never forget. Where I come from, we return a favour.” And he sped off. I laughed. I didn’t think much or hear from Mr Hugh again until four years later when I received a parcel from his attorneys. The parcel contained a Will summons and a first class ticket to South Africa. P.S This one’s for George, whose wishful thinking inspired this story.